A footballer legendary for keeping his cool. A woman who challenges him like no other. Nothing gets by me. Nothing gets to me. On the field, or off. Until I meet Harper. One taste of her lips, and she brings me to my knees. I’ll do whatever it takes to win her. She’s brilliant, she’s beautiful, and she’s so reserved, she becomes the challenge I have to win.She can’t be bothered. She’s not impressed with much—not the fact I’m an international soccer star, not money. She’s also running from something.I can be patient. I’m used to that game. But this isn’t a game. Not with Harper, not when she’s everything I want. Protecting the net is easy. The heart…not so much. 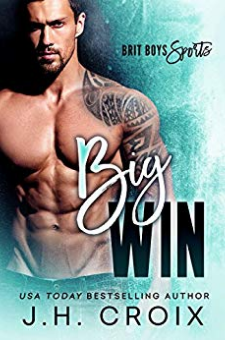 *This is a full-length standalone sports romance with a guaranteed happily-ever-after.